Following a diabetes diagnosis, your doctor is likely going to encourage you to make smart lifestyle changes. You’ll be urged to choose healthier foods and becoming more physically active. 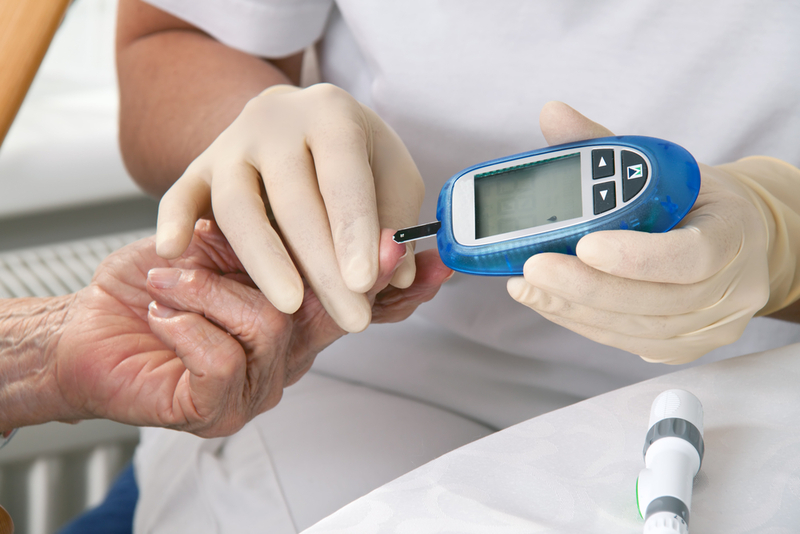 You might have to regularly monitor your blood glucose, as well as getting tests and checks during the year. You will need to discuss treatment options with your endocrinologist and may need to try a couple medications before you find the right fit. Most people diagnosed with diabetes need at least one blood glucose-lowering medication, but everyone is different. If you have other medical conditions in addition to diabetes, tell your physician so they can prescribe medications with that in mind. Eating the right food is crucial following a diagnosis of diabetes. Limiting portion size, and restricting carbohydrate and sugar intake will all benefit your health. Keep track of the foods that you’re eating so that you can identify foods that trigger symptoms. This will also help your dietician monitor your progress and give you recommendations. Talk to your doctor before developing an exercise routine, to ensure that you’re healthy enough to begin. Generally speaking, The American Diabetes Association recommends getting 30 minutes of aerobic activity on most days, with the addition of resistance training 2 or 3 times a week. If you followed that plan you might take a brisk walk 3 days per week, and take a beginners weightlifting class twice a week. Managing diabetes can be challenging, and ensuring you have the supplies to manage it can be a chore. If you need regular testing you’ll need testing strips, a testing monitor, and insulin. You may also need therapeutic shoes, inserts or socks. After a diabetes diagnosis, support is crucial. Connecting with others can motivate you to take care of yourself and also alleviate feelings of loneliness. Talking with friends or family members who may be experiencing similar trials can ease your anxiety about having diabetes. Ask your doctor about in-person or online support groups or counseling, which can also offer valuable comradery. A diabetes diagnosis can seem to put your entire life on its head. However, it’s important to implement changes slowly so they don’t seem so overwhelming. You’ll have good days and bad, but be patient with yourself and with the process. Although a diabetes diagnosis might seem like the end of life as you know it, think of it as a blessing. You can now make healthy choices for a fuller, longer life. You’re no longer forced to experience scary symptoms, unsure of the cause. With proper treatment and management, a normal life is possible. Contact Us if you’ve been recently diagnosed with Type 2 diabetes or suspect you may have diabetes.